One of my favorite things to do with strata is to add Ore-Ida Crispy Crowns to the mix. Because, while bread is good, half bread and half badadas is truly a beautiful thing. Beat eggs, milk and cream in L A R G E bowl. Add shredded cheddar, Sunny Paris, salt and pepper. Stir bread cubes into egg mixture. This part of the recipe should hang out in the fridge for a couple of hours or overnight. When you’re ready to complete the recipe, steam the broccoli for approximately 2 minutes, then set aside. This is also a good time to turn on the oven to the right temperature to cook the Crispy Crowns. Getting them crispy ahead of time makes them nice-nice in the strata. Get those going and then we can put it all together. But drop the temp back down to 350 degrees F when you’re ready to bake your strata, OK? In a large pan, cook your breakfast sausages. I had links–if you have bulk sausage, just break it up as it cooks. Drain on paper towels, saving just a bit of the fat so you can add the onion back to the pan and cook it in the drippings. As the onions are cooking, add the red peppers. Cook till the onions are almost golden, then set it all aside to cool. Cut the sausages into small pieces. 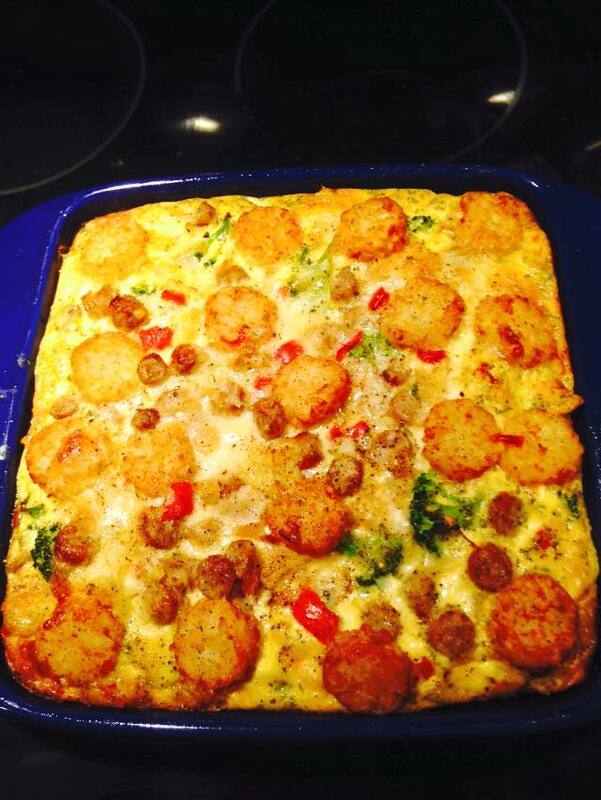 Stir onions, peppers, broccoli and sausage into eggs. Once the Crispy Crowns have cooked, place half of them in rows, four by four (so 16, total on the bottom of the pan), so each cut square should get one. You’ll use the rest for the top of the strata. Pour ingredients into a buttered 9″ square baking dish. Then, evenly place the remaining Crispy Crowns over the top. I had enough to fill a 9″ square as well as a little mini-heart dish. Bake at 350 degrees F for approximately 50 minutes or till top is lightly golden and eggs are set. Let stand 10 minutes before serving. Enjoy! My mom helped celebrate Pi(e) Day with me yesterday. I crossed my almond shortbread recipe with a very similar recipe for a no-roll shortbread crust and baked by proxy. It even involved math, appropriately enough. Thanks for being patient with my math and doing this for me, Ma! What a delicious crust! And so easy. 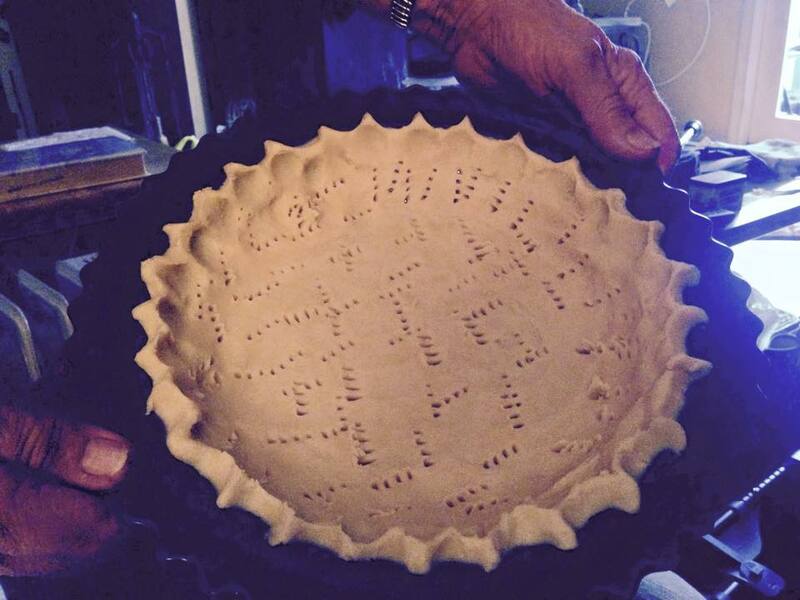 My mom is, without question, the best pie baker in the family, so my humble instructions were in good hands. Preheat oven to 350 degrees F. Blend ingredients till a soft dough forms. Pat into a 9-inch pie pan. Prick crust well with fork. Bake for 15 – 20 minutes, till crust is golden. 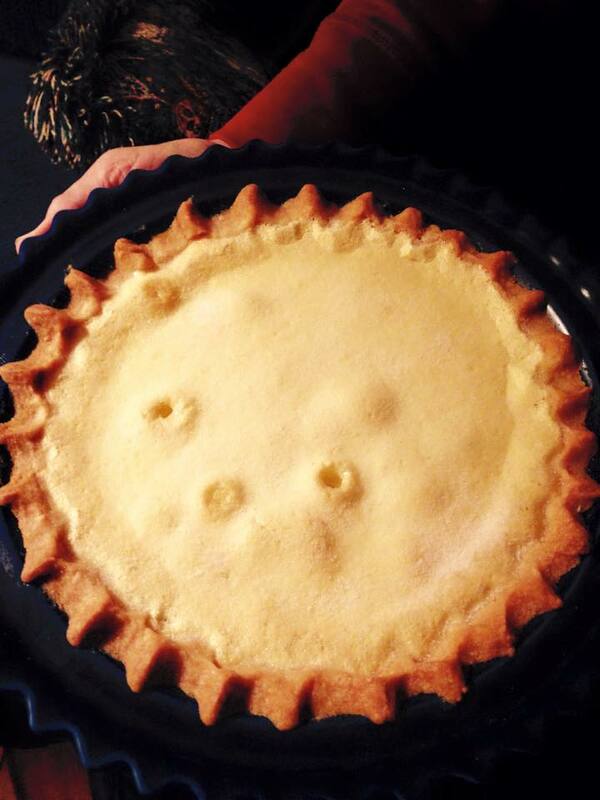 Here’s the final pie–the filling is Cook’s Country’s lemon chess. The crust is excellent! The pie filling’s texture is a standout–crisp, crackly top with a rich, silky custard beneath it. I especially love how the pie looks like the sun. And it’s very tasty, too. I would prefer a more tart, lemony flavor and will work on that as time goes by. But it hasn’t stopped me from eating my way through this plate of sunshine. Thanks again, Ma! Love you! Two great tastes that taste great together–chocolate and peanut butter– come together beautifully and easily. Start with a store-bought Oreo shell, then whip up (literally) a quick ‘n tasty filling. In a stand mixer, whip the heavy cream till stiff peaks form. Move to a small, separate bowl in the fridge till it’s time to add to the pie. Again, using a stand mixer, cream together the peanut butter and Neufchatel cheese till smooth. Add sweetened condensed milk, bourbon, vanilla and lemon juice. Beat till smooth, scrape down sides to be sure everything is incorporated. 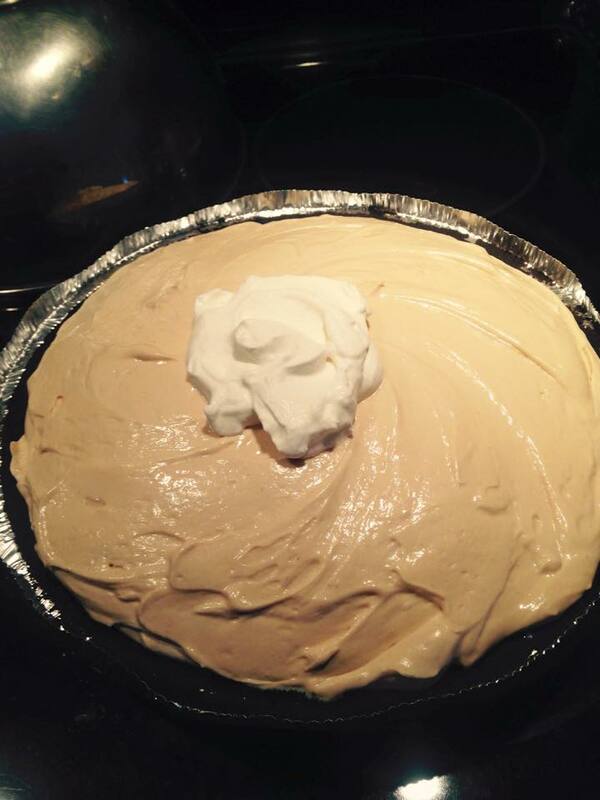 Next, fold in about 1/3 of the whipped cream you set aside. Then fold in the rest. Pour into the Oreo shell and smooth the top of the surface. I saved one dollop of whipped cream for the center, just to be fancy. Refrigerate for three hours or overnight before serving. Delicious!